After 2017’s year of record-breaking disasters, real estate brokers and agents can now become an even more valuable asset for local consumers by adding a flood zone map to their website. The real estate market data company Home Junction has implemented its data aggregating technology to extract these valuable flood zone maps from the Federal Emergency Management Agency and can now include these boundaries in their data feed for real estate agents. This information can appear as a text notice of a flood zone or geo-spatially as a boundary on a map. 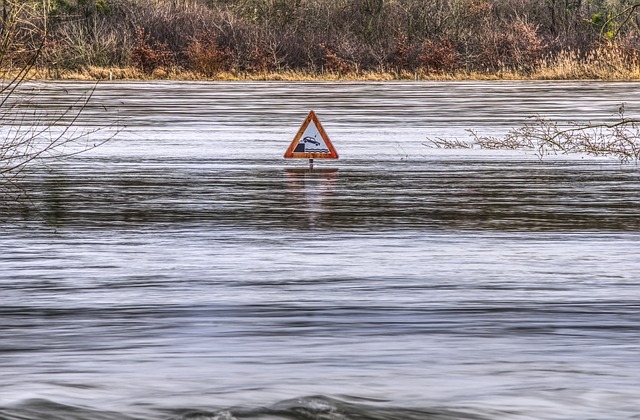 If you recall those images on television of the flooding in Houston alone, brokers or agents can certainly see that consumers are going to be concerned about the location of their property in relation to waterways and floodplains more than ever before. According to the National Centers for Environmental Protection, Hurricane Harvey caused flood damage to more than 200,000 homes and businesses in the Houston area. The estimated cost of the devastation is a whopping $125 billion. Last year, massive floods also destroyed properties in Louisiana, Missouri, Arkansas and southern Illinois when rivers reached historic levels and levees were breaches. In California, heavy rains there caused the Oroville Dam spillway to overflow and 188,000 people had to be evacuated. Home Junction researchers obtained the floodplain data using its advanced “slipstream data technology” to parse a flood zone map down to the zip code, neighborhood or subdivision level. This enables local agents to provide these boundaries for the neighborhoods they are farming. The company has gathered this boundary data for 2,300 counties, where flooding may be an issue. For years, the national approach to flooding was to focus on flood-control projects such as dams, levees, seawalls, etc. However, property damage to homes still occurred and in many instances development still took place in high-risk areas. To mitigate this problem, Congress created the National Flood Insurance Program (NFIP). The concept behind the program was to identify at-risk areas to reduce flood damage with community floodplain management ordinances and to prevent development in high-risk locations. The agency then also provided flood insurance to homes that could possibly be flooded if a catastrophic storm took place, which as we’ve seen does happen, even in areas once considered safe. A flood zone map adds boundaries for different levels of risk. For example, in Special Flood Hazard Areas, home buyers need to know flood insurance is required. This may be true for some properties even if they are not located in the 100-year floodplain. The company also has a flood zone map for homes in the 500-year floodplain, where flood insurance is not generally required. But consumers will know there is some degree of risk in those locations. Adding a flood zone map is just one more tool that Home Junction can provide to a broker or agent to enable them to truly display in-depth knowledge of an area. The company already aggregates and distributes data feeds for school data, property sales, market trends, real estate demographics, crime statistics and cost of living indices. They are also experts in boundary data polygons. The company provides school district boundaries, school attendance zones, municipal boundaries and much more. This is the 21st Century. We are at the next wave in the Information Age. We are also experiencing a time when major weather events are taking place. Catastrophic storms are creating situations where hundreds of thousands of people may be stuck with damaged homes. Many in the Houston flood did not have flood insurance. In this day and age, if a broker or agent really wants to be a neighborhood expert, they will need to back up that strategy. Not just with talk, but with detailed real estate market data and a flood zone map for the areas in their target markets.